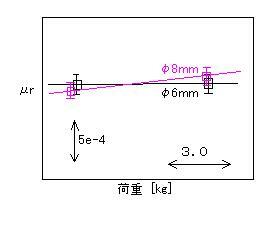 This figure shows the relation between the diameter of ball bearing and rolling resistance. The diameter of bearing has no effect to rolling resistance. If this phenomenon is fact , it is better to use large ball bearing for keeping the stiffness of vehicle.